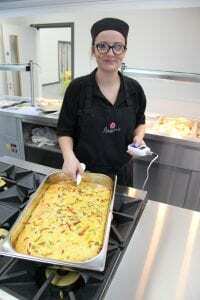 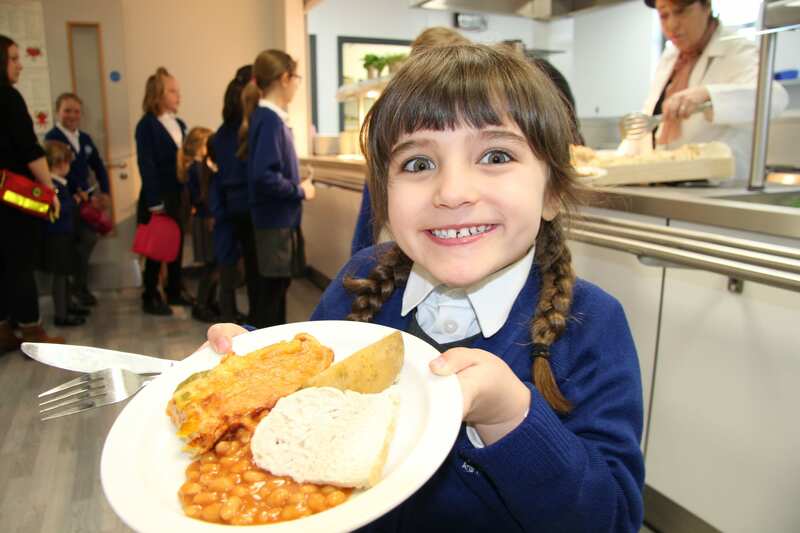 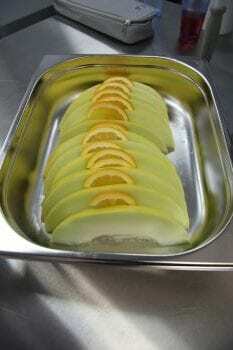 “Tasty New Midday Meals Service is Amazing!” Say Pupils. 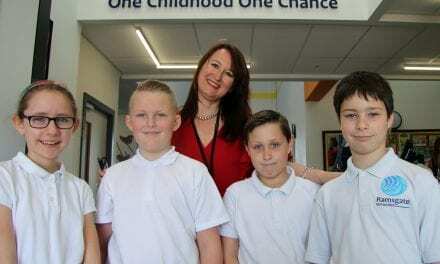 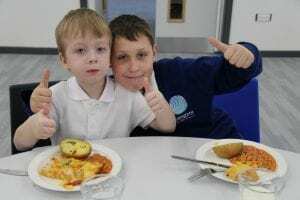 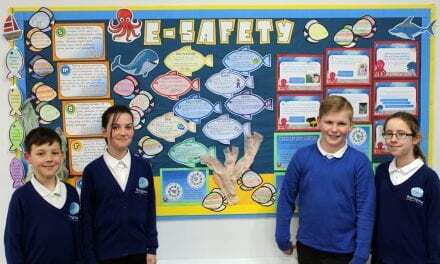 Tasty food in a brilliant new dining area – that’s the verdict from pupils at Ramsgate Arts Primary which has opened its new lunchtime meals operation. 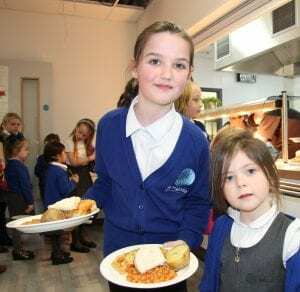 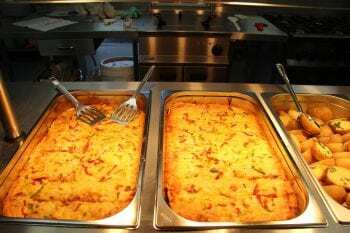 The kitchens with the latest catering facilities are serving more than 120 midday meals each day, offering children balanced nutritious food to suit all tastes, as well as catering for those with special dietary needs and requirements. 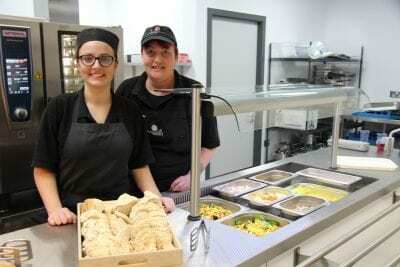 Head cook, Laura Connor and Assistant Cook, Jax were joined on the launch day of the new facility by Maria Bolder, area manager for Principals catering which run the service. 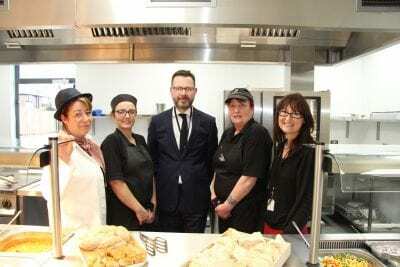 New kitchen read to go – far left Maria Bolder, area manager for Principals catering; head cook Laura; Head of School Nick Budge; assistant cook Jax; and Viking Academy Trust Executive Head Teacher Michaela Lewis. 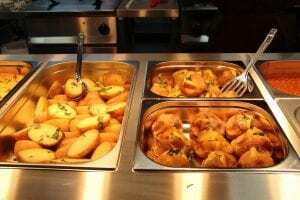 Rigorous safety and hygiene standards are maintained across the board and hot food is temperature probe tested to ensure it is just perfect, with a meticulous information log kept every day. The spotless stainless steel kitchen and serving area are one of the last parts of the school to be unveiled since the school opened last September. 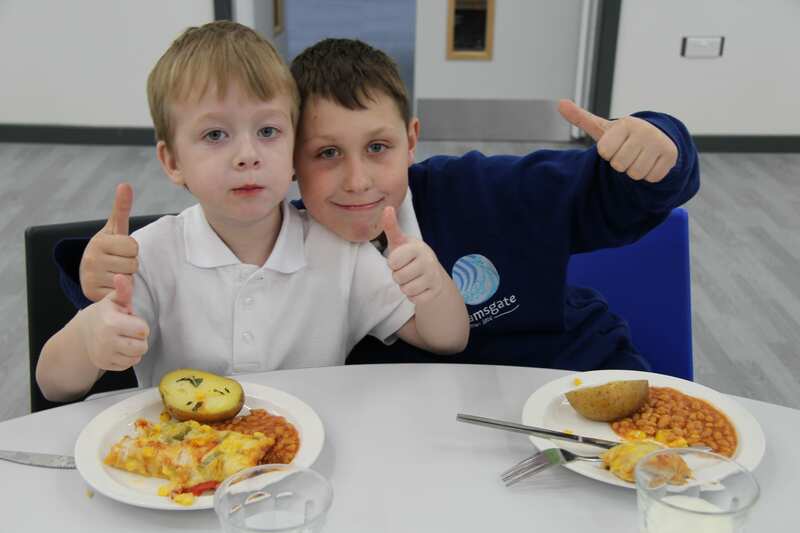 Among the pupils tucking into their dinner in the new dining area were George and Jamie from Year 5. “It has taken a little longer than planned but is well worth the wait. It is a fabulous facility and the range of food available is terrific from hot meals and vegetables to salads, puddings to fresh fruit. A healthy midday meal is something that is very important for our children, and we ensure that they get good wholesome food with a decent choice. 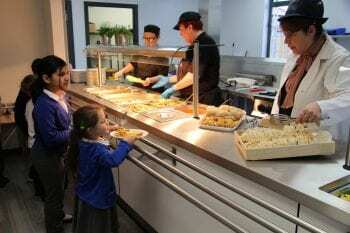 The lunchtime menus are on a three-week rotation and typical meals on offer include vegetarian rainbow pizza, baked potatoes, beans and salad; ice cream; frozen mousse; jerk style chicken jambalaya, rice, peas and broccoli; roast dinners; vegetable omelette; fish and chips; apple pie and custard; mild curry; vegetable hotpot; chocolate sponge and sauce. 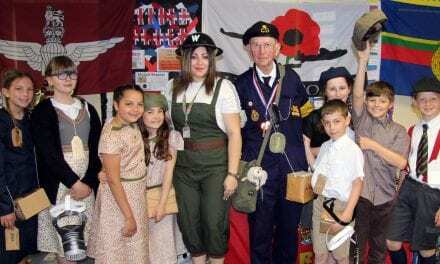 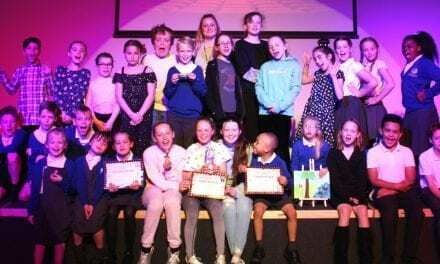 Thank you, Ramsgate Arts Primary School for this terrific news article and our sincere congratulations on your new kitchen! 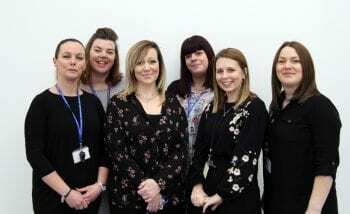 We are delighted for you and can see how dedicated your faculty are to ensuring that all students receive a supportive environment to thrive in.